Where Is My Canada Going? : MARIJUANA "LeGaL 0R N0T" ? MARIJUANA "LeGaL 0R N0T" ? Marijuna ("weed"or "pot") is a general term for the leaves and/or buds of the cannabis sativa ("marijuana") hemp plant. It is usually used and inhaled like a cigarette ("joint") or in small pipe. It is sometimes smoked in an emptied cigar to make a "blunt"with a cigar flavor. The major active ingredient in marijuana (cannabis) is tetrahydrocannabinol or THC. Hashish (or hash oil) is solid or resinous depending on the processing of the resin of the cannabis flowers and is more potent than marijuana. It is consumed by being heated in a pipe, hookah, bong, bubbler, vaporizer, or hot knife. It may be mixed with cannabis buds or tobacco and smoked in joints, or smoked as bottle tokes ("brewing bots", "bucket bongs"). It is the active ingredient in "pot" cookies or brownies or cooked in various foods. The Confidential Restricted List in 1923 under the Narcotics Drug Act Amendment Bill added other unidentified drugs and was understood to include cannabis (although not identified by name). This has since been taken as including marijuana as a narcotic. Since then Marijuana has been "officially" classified as a narcotic and treated as such for legal matters (e.g. border crossing) in spite of it having little in common with actual narcotics. Border Officer: "Have you used any kind of narcotic in the last 6 months?"
. . . after several unrelated questions . . .
Border Officer: "Have you used marijuana in the last 6 months?" Traveller: "A couple of times." Border Officer: "We have a problem. You lied to me when you said you hadn't used a narcotic." Lying to a Border Official is adequate reason to launch an intensive search, and arguing is not a good option because in his book, Marijuana is listed as a narcotic. 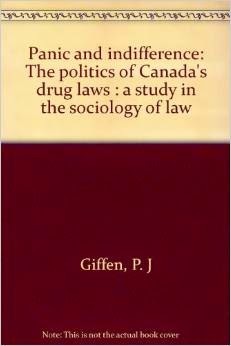 It has been discussed in many books and college texts such as "Panic and Indifference"
- Cannabis was added of the Opium and Narcotic Drug Act in 1923, before cannabis was identified as a social issue in Canada -- - a "solution without a problem" (p. 179). - Clover Leaf University (Colorado) has state approval for 16 stand-alone course and 4 full medical marijuana certifications. "it is in the researcher's opinion that the present Canadian law tends to "over-criminalize" marijuana and alternative policies dealing with the legislation of marijuana need to be considered that deal with the "marijuana problem" more realistically." - A Canada-wide Health Promotion Directorate was established to include an anti-drug campaign promoting that "kids shouldn't try marijuana or hashish until they are at least 18, and mature enough to decide responsibly" and should "stay real". This mild approach impressed even pro-marijuana groups like the National Organization for the Reform of Marijuana Laws (NORML). - 2002 the Government of Canada gave a four-year contract to a Saskatoon-based company for the production of medicinal marijuana. Prairie Plant Systems, used an inactive underground copper/zinc drift owned by the Hudson Bay Mining and Smelting to produce approximately 400 kilograms of medicinal marijuana annually. 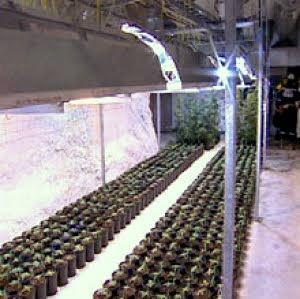 Because marijuana plants and seeds were illegal the company used whatever seeds the RCMP had confiscated in drug busts with no concern for quality or strain of marijuana. The result was an expensive and poor quality product which was inadequate for medicinal use. 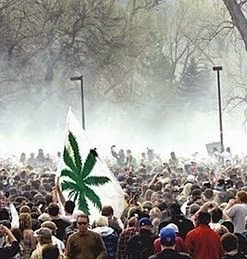 When the operation closed in 2009 more than 1,400 Canadians were authorized to possess marijuana for medical purposes. Of those, about 300 people received the Prairie Plant Systems product. The others used "illegal" privately grown Marijuana. - 2013 there were 28,000 people in Canada who held a personal-use or designated operation production license under the MMAR (Marijuana Medical Access Program Regulations. This program ended Mar 31, 2014. - March 2014 commercial producers began being licensed across the country under the MMPR (Marajuana for Medical Purposes Regulations) with amendments (2014). Amendment As of Sept. 2014 thirteen sites have been licensed. They are big business operations. For example, Bonify Medical Cannabis in Winnipeg invested a million dollars and has 2 growers in hopes of receiving a license. "Dried marijuana is not an approved drug or medicine in Canada. The Government of Canada does not endorse the use of marijuana, but the courts have required reasonable access to a legal source of marijuana when authorized by a physician". At the same time, Health Canada is not able to control legal (but possibly harmful) drugs. What hope is there that they will be able to deal with the situation surrounding Cannabis? Federal regulations as of 2014-09-01 are found listed under "Narcotic Control Regulations"
Provincial laws and regulations in some cases seem to defy the Federal position. In some jurisdictions police are not enforcing the laws, leading to an understanding that it is legal..
but licensed home growers are allowed to continue to produce their own pot pending a future trial. - States with legal medical cannabis - Washington, Oregon, Nevada, California, Montana, Arizona, New Mexico, Colorado, Minnesota, Illinois, Michigan, Hawaii, Alaska, New Hampshire, Vermont, Massachusetts, New York, Maine, Rhode Island, Connecticut, New Jersey, Delaware, Maryland Washington D.C.
* "decriminalized " means the offense is like a parking ticket - a fine but no legal action or record.